My three favourite editing apps! Blogging is one of those jobs/hobbies where it is 24/7. There's no switching off from it, and if you're like me, sometimes you have to step away from the laptop. We live in a day in age, where technology is number one to us, and to be honest is incredibly useful. 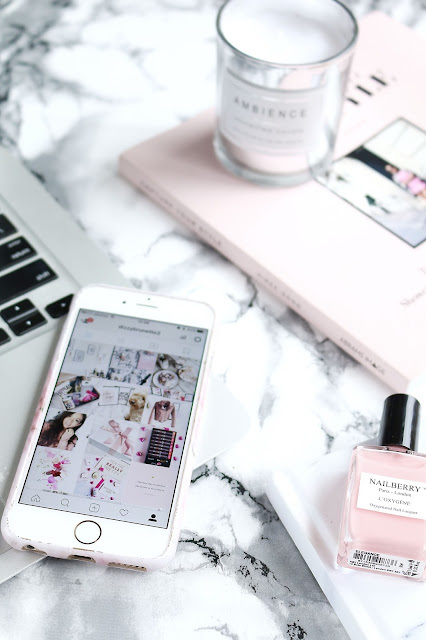 Although I like to have a break away from the blog, sometimes I will have to use my phone as my main contact, and recently I have been using some apps which are really helpful for when you're blogging at home or on the run Editing photos for social media is something I really enjoy to do. These apps work in a very similar way with Photoshop and they will help you adjust the basic things like lighting, shadows, or undertones and even more complicated steps like cloning sides to make a photo appear larger. This is my all time number one app. To be honest, I think you could just use this one and everything would be perfect. Although it's a free app, you can buy some presets that fit your style more. It washes out the colors slightly and emphasizes black and white, perfect for my feed. In here you can adjust exposure, temperature, undertones, clarity, and much more. I only use this for very detailed editing. You can do the same things as on VSCO but the two things that I love the most about this app is the exposure tool and expanding tool. Since I love black and white shots it is crucial for me to have a sharp white background without washing out colors from the products in my photos. The exposure tool allows you to "paint" the area that you want to brighten without exposing the whole shot. The expanding tool is perfect if you want to extend the edges of a photo. This works even on outfit posts if your background is a solid color, just extend a corner and the app will fill in the gap with a similar texture. Amazing. This app will let you add fun and cute titles to your videos. You can play around with different styles and change colors and fonts to your liking. It's very easy to use and very useful if you're having a long day that you want to document on your 24H stream to give it a vlog style.